Anthony & Joe Russo are directing with Kevin Feige producing. Louis D’Esposito, Alan Fine, Victoria Alonso, Patricia Whitcher, Nate Moore and Stan Lee are the executive producers. The screenplay is by Christopher Markus & Stephen McFeely. 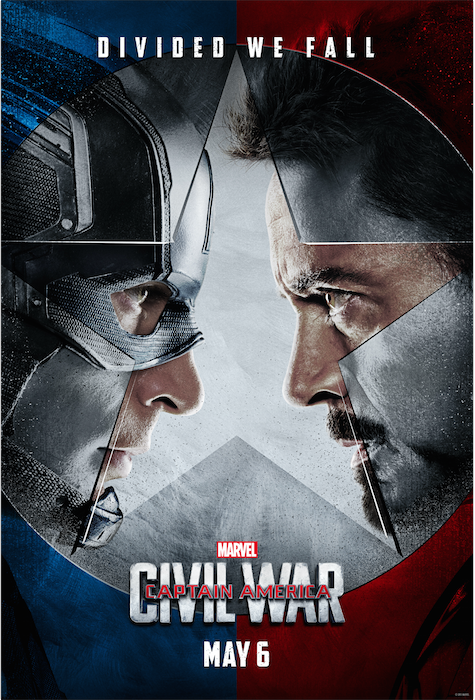 Get ready to pick a side and join the nonstop action playing out on two fronts when Marvel’s “Captain America: Civil War” opens in U.S. theaters on May 6, 2016.
Who's Definitely Checking out this movie? I am sooooo looking forward to this movie. I can't wait. I love all the Avengers but Captain America is definitely my favorite.